In a scrubby valley in California’s Mojave Desert, a metal structure, resembling something like scaffolding on wheels, lies within a cleared, sandy acre. On a sunny day in June 2018, a droning whine emanates from the setup. Then, like the leg of a mechanized ballet dancer, a metal tower unfolds from the ground, pivoting up to form an L. Attached to the tower is a very small rocket – just 15 feet tall – powered by a correspondingly small engine, part of a system called NEPTUNE. 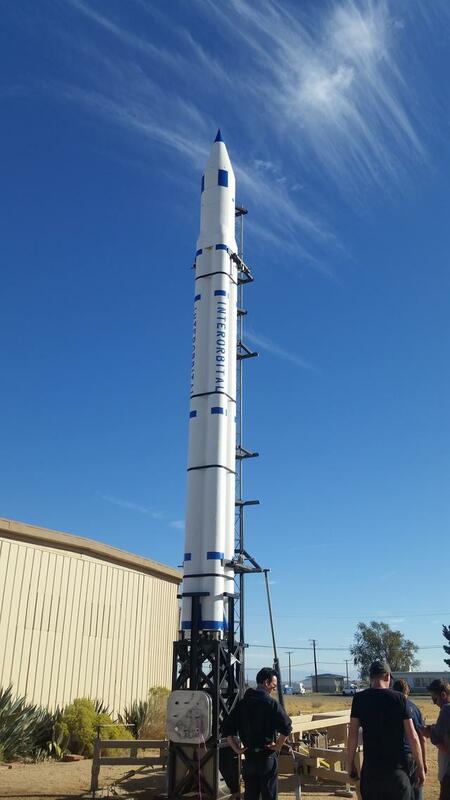 Interorbital Systems makes both the L – a mobile launch system – and the NEPTUNE. The company is led by Randa Milliron, one of few women in charge in the business, and a rogue at that. She and her business partner/husband, Roderick, used to play in a cyberpunk-industrial band called H-Bomb/White Noise – so no, Milliron doesn’t exactly fit in with the buttoned-up defense contractors who typically populate this sector. That may be for the best, because she wants to do something those colleagues have largely failed at so far: sell small, cheap rockets that can be launched from essentially anywhere by pressing some buttons on a laptop keyboard. Diminutive launch vehicles, the idea goes, can lift similarly small satellites – the technical term for instruments that weigh less (often much less) than 500 kilograms – to orbit. In Mojave, the countdown begins. A voice says “3… 2… 1” and flames shoot from the bottom of the rocket’s tubular body. Nitric acid, turpentine, and furfuryl alcohol combine and ignite, pushing the rocket upward. It quickly passes the backdrop of mountains, and soon, all that’s left is condensation in its wake. This is just a low-altitude test, in which nothing makes it to space, but Milliron plans to send a full-scale NEPTUNE rocket all the way up to orbit by the end of this year. 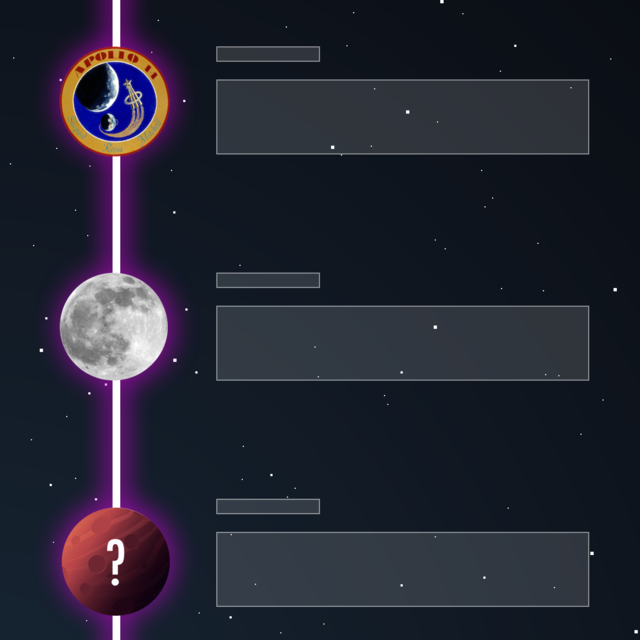 Her timeline matches up nicely with a new federal competition, the $10-million Launch Challenge, organized by the Defense Advanced Research Projects Agency (DARPA). To win, competitors must send small satellites to orbit twice within weeks – a quicker turnaround than normal – using their own small launchers. They won’t know exactly what satellites their rockets will be carrying, when they will get the green light, or where the launch site will be until the last minute. Taking off on short notice with few details is, in defense parlance, rapid and responsive launch. DARPA is pushing the capability in anticipation of a strategy shift at the Defense Department away from large, expensive satellites and toward constellations of many small ones, all of which will need to get to space somehow. The U.S. military and intelligence communities currently focus on “exquisite” satellites – costly (sometimes a billion dollars or more), behemoth, and ultra-capable. They deal with communication, interception, and navigation, and can take pictures so sharp that you could almost see a baby’s bib from space. In short, these communities depend on them – more than most other countries depend on theirs, if they have them at all. Because defense and offense extend beyond the atmosphere now more than ever, some in government want to spread the risk and be able to quickly replace, augment, or update existing space assets. Small satellites can help with that. In combination, they can act like a single capable warbird, but they are actually a flock of expendable ones. The result: more resiliency in space and a reinforced strategic edge. Although smallsats, as they are known, will not completely replace their big siblings, they would fundamentally change how the Defense Department conducts itself. 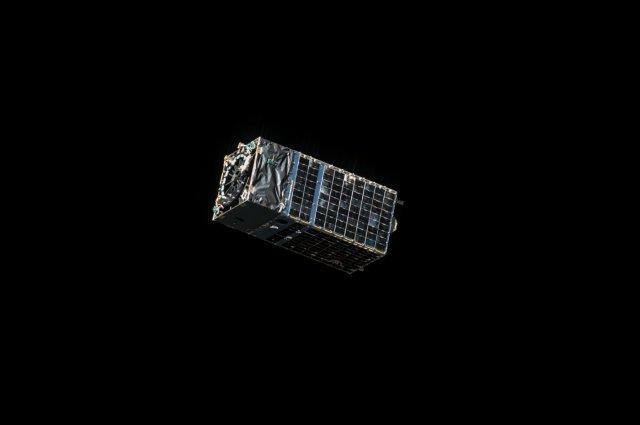 Kestrel Eye, the size of a small refrigerator, was put into orbit for 10 months in late 2017. A demonstration, it provided "vital data and crucial lessons learned for supporting future Army small satellite programs." “You behave differently when the things you build don’t matter as much,” says Fred Kennedy, the director of DARPA’s Tactical Technology Office. With less at stake, engineers are emboldened to innovate – and if the mission doesn’t work out because of a failed experiment or a bad actor, so what? The pivot to smallsats, though, will only work if launches are rapid and responsive enough to get them to space on demand. Enter DARPA, to shape this nascent industry to the Defense Department’s desires. From Interorbital’s beginnings, Milliron and her crew have been developing the kind of flexible, fast, mobile, cheap, small rocket that could help with that pivot – the kind that the Launch Challenge wants. “It looks as if this set of prizes was designed around our rocket system,” she says. Milliron’s inspiration goes back to childhood, when she watched engineer Wernher von Braun talk about rockets on the Disney Channel. A former member of the Nazi Party, he was brought to the U.S. near the end of World War II as part of Project Paperclip, a brain-drain intended to lift American rocketry to German heights (before Soviet rocketry got there). Though von Braun went on to work for civilian NASA, much of his research was military-centric, as is much of all such research today (no matter how often you hear about going to Mars for the good of humanity). 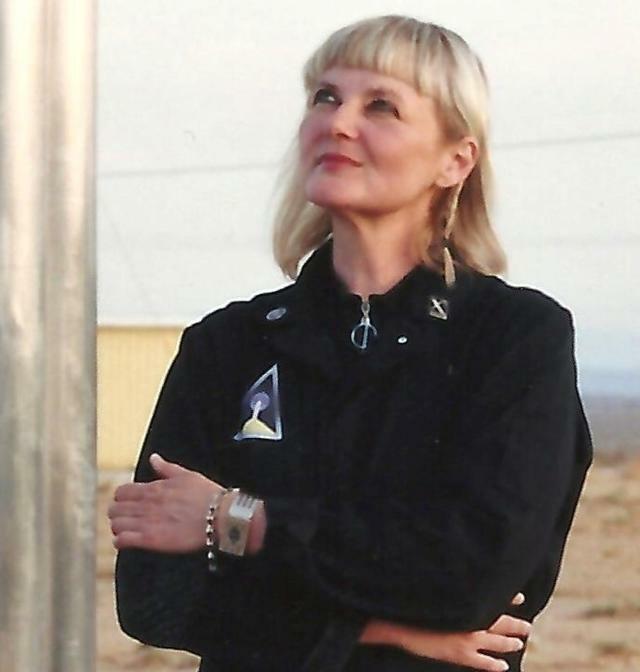 As adults, Milliron and her husband joined the Pacific Rocket Society, one of the world’s leading amateur groups. Soon, they had built a rocket engine that fed on cryogenic fuel. (They do have some formal background: Randa has studied chemistry, while Roderick has earned degrees in applied math and chemistry. He had been a systems engineer for industry giants Grumman Aerospace and General Dynamics. Both taught university classes – and taught themselves rocket science). “When we finished and successfully fired it, we said, ‘What’s wrong with this picture?’” Milliron recalls. “We made this engine for less than a thousand dollars.” If a big aerospace company had developed it, the cost would likely have been far higher. After a second successful engine test, the couple decided to get serious. They set up a permanent base in the town of Mojave at its experiment-centric airport, now also a spaceport and home to Virgin Galactic’s SpaceShipTwo. Soon, Milliron began lighting up the desert professionally, under the Interorbital banner. Since then, funding has largely come from two private investors, a NASA small-business grant, and the decision to start selling their own line of small satellites. Early on, Milliron’s team started to work on developing propellants that could be stored at normal temperatures, rather than standard cold fuels, and that ignite on their own when combined. In short, they were trying to pluck complications from conventional launch systems. “We can load the rockets, fuel them, and they can sit for years if need be,” Milliron says. (They are not, though, the kinds of rockets that boomerang back to Earth, like the big ones of SpaceX and Blue Origin). Their first simple launcher was a small suborbital rocket, meant to fly high, but not high enough to start circling Earth. Then came the TACHYON, made of tubes of propellant bundled against each other like firewood, rather than stacked like those of a traditional rocket. It also wasn’t meant for orbit, but the design allowed Interorbital to add and subtract the propellant tubes to make the rocket more or less powerful. NEPTUNE, also a bundle of fire sticks, is the next step in the company’s evolution – and the rocket that will compete for DARPA’s attention. Intended to launch things much higher, the smallest configuration can get your little payload to low Earth orbit. If the Pentagon wanted to send a 20-kilogram spy satellite to take pictures from 310 miles above Earth, it could order such a configuration of the rocket. If – oops! – it actually wanted two satellites, it could just ask Interorbital to add more fire sticks. 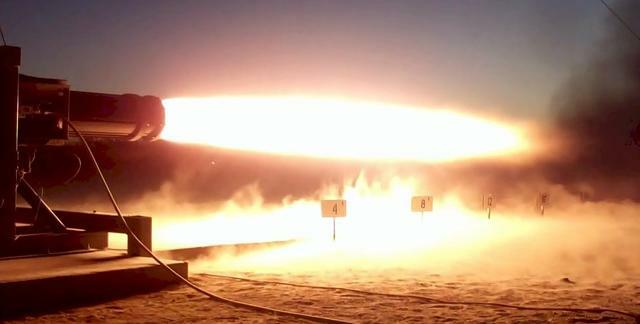 Interorbital's General Purpose Rocket Engine, packing 7,500 lbs. of thrust, is the basic power plant for all NEPTUNE booster stages. A NEPTUNE 8, meanwhile, could (at least in theory) blast you to the Moon – although the company has yet to send a rocket to any part of space. All iterations lift off from a mobile launch platform, which can be schlepped anywhere, or from barges on the ocean. That is probably the motivating factor for most participants. The prizes – $400,000 for qualifying, $2 million for completing the first launch, and $10 million to the first-place winner after the second – are not enough to do too much in space. But demonstrating to the Department of Defense that you can do what it will want in the future? Priceless. Now, at the contest’s beginning stages, the challenge is mostly paperwork: describing the vehicle, drawing schematics, laying out test programs. And then, of course, it’s dealing with the FAA, whose Office of Commercial Space Transportation grants licenses for all private launches. So far, Interorbital and 17 other teams have prequalified with DARPA, though their names are not public. That number reflects the recent explosion of launch startups. Not all of them will survive these evolutionarily precarious years. In the United States today, only one company that exclusively does small launches, Rocket Lab, is actually in operational mode. (Northrop Grumman does have two small-launch rockets in its extensive arsenal, though they have rarely seen use. Abroad, the only launchers both small and in service live in China). Whoever the entrants are, and whichever of them make it through the bureaucracy, they won’t see any action until the last quarter of this year, when DARPA will give competitors about 30 days’ notice of where the first launch site will be. Around two weeks before takeoff, they will get details about the satellite and where they are supposed to send it. Should they succeed, then just weeks later, and with similar advance warning, they will make the second attempt. Then it’s hauling their space systems to a new spot and doing it all over again. The hope is that this harried, anomalous pace will seem normal in the future, and that those normalized launches will populate low Earth orbit with hard-to-hit smallsats. Then, if China disables the National Reconnaissance Office’s key picture-takers, a network of littler ones could snap instead. If Russia scrambles a giant communications satellite, soldiers could send messages through small ones. If homegrown attackers paralyze GPS capabilities, smallsats could keep sending position, timing, and navigation information to the ground. People like DARPA’s Fred Kennedy have been waiting patiently for this moment. Back in the mid-1980s, DARPA made small orbiters called “lightsats.” The first launched in 1985 aboard a space shuttle, bearing the name GLOMR (pronounced, one imagines, like a “Glomar response,” although this can neither be confirmed nor denied). DARPA also began small-launch programs, but they never really caught on. Then things got more complicated: The lightsat program ended, and Congress canceled the Navy’s plans to send six smallsats to orbit above the Arctic. Three years later, in 1995, The Washington Post gave a possible clue as to why: on the Hill, politicians were fighting about whether bigger or smaller was better. A massive Global Positioning System IIF-series satellite is prepared for launch at Cape Canaveral Air Force Station. Representative Larry Combest of Texas led that faction. “The Combest group wants to start production now of 2,000-pound space vehicles, each costing about $100 million and nicknamed ‘small-sats,’” the article stated. (Back then, the name came with quotation marks). In the other corner was Norman Dicks of Washington, who favored the $1.5-billion behemoths. Later, an investigation published in The American Prospect claimed that the fight was not necessarily about capability, but about feeding the military-industrial complex. Lobbying efforts by Lockheed Martin, which made many of the exquisite orbiters, aimed to squash the smallsat movement, the article asserted. You’d be forgiven for thinking that statement was made today – not 23 years ago. A few military smallsat programs trudged along amidst the turmoil, but while their names were catchy – Starlite, PicoSAT – their influence was minor. Consequently, there was little demand for rapid and responsive launch, and small rockets never really took off. Today’s déjà vu, however, is only partial. In the 1990s, threats to exquisite satellites were more abstract, and the smallsat solution largely anticipatory. In 2019, you can buy GPS jammers on Amazon. Hacking isn’t hard. China has successfully tested an anti-satellite missile. Raytheon delivered its first Space Enabled Effects for Military Engagements (SeeMe) smallsat to DARPA in October 2018. The government was also footing the R&D bill back then. Today, the commercial sector has done much of the legwork. Sensing a change in the wind, the “old space” companies that may have lobbied against a strategy switch are instead acquiring and investing in smallsat startups and starting diminutive divisions of their own. Lockheed Martin took equity in a tiny-satellite manufacturer, and Raytheon has whipped up smallsats for the Department of Homeland Security. 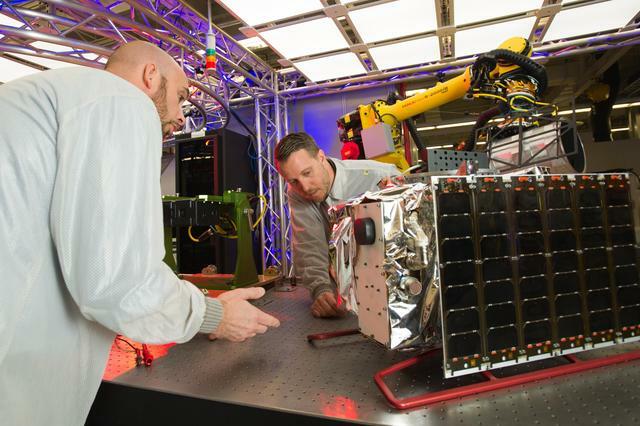 Boeing bought Millennium, which has done small satellite work for the National Reconnaissance Office, the Air Force, and DARPA. Publicly available figures say the U.S. government has launched nearly three times as many smallsats as any other country – lifting up 120 between 2012 and 2018, according to consulting firm Bryce Space and Technology. China and Russia come in second and third, with 44 and 43, respectively. Still, military and intelligence account for a tiny portion of the American action; commercial is king, with private companies having shot more than 600 to orbit during the same period. Globally, smallsats represented a $2.69-billion industry in 2017. Everyone from high-school students to intelligence-feeding imagery startups to climate-change researchers is using them. No matter whom the little instruments belong to, though, they mostly got to space as part of “rideshares” – stashed in large rockets and sharing space with other, often much larger, satellites. “We have to get on board,” says Fred Kennedy, resorting, perhaps unintentionally, to a flight metaphor. “We have to make this work for the Defense Department.” That would include more little launchers for the growing flock. Interorbital would certainly like to help. The team is currently finalizing the NEPTUNE rocket’s guidance software, which, if all goes according to plan, will take it to the orbits DARPA intends – whatever those may be. Interorbital's Common Propulsion Module, the primary building block of its NEPTUNE rockets, undergoes tests. If luck goes her way, an army may soon by interested. Sarah Scoles (@ScolesSarah) is a freelance science reporter, a contributing writer at WIRED, and a contributing editor at Popular Science. She is the author of Making Contact: Jill Tarter and the Search for Extraterrestrial Intelligence.